So I have been busy painting Isorians for the last week or so. The folks that run the Gates of Antares Nexus website asked me to write some articles about the process of building and gaming with the new army. 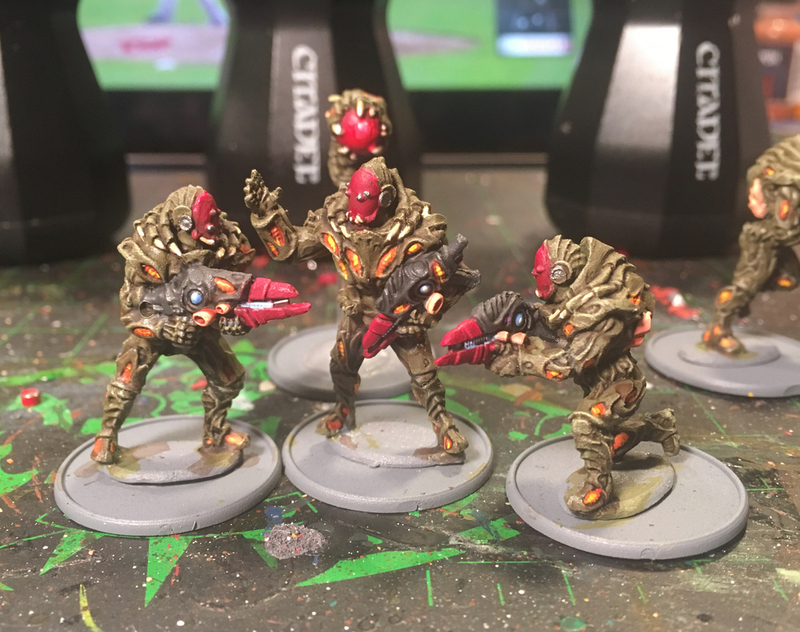 I have posted an introductory article as well as an article looking at painting the Isorian Phase Command Squad. I am also working on an article about painting the Tsan Ra Torus Squad and while I did those models I also painted the first of two Phase Squads I am building for the army. 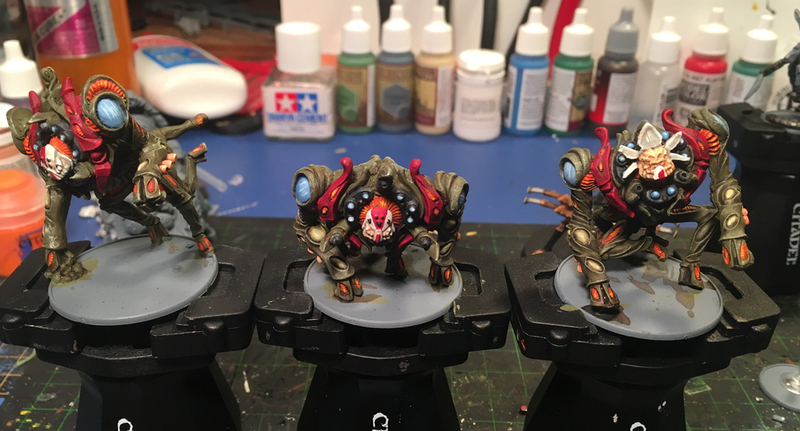 The Tsan Ra are actually done and waiting to be based. I was going to use the GW Martian Ironcrust texture paint but when I went to The Sentry Box to get some fresh bottles I accidentally bought the Martian Ironearth. Not sure how I could have made that mistake :-( So I have to get some of the proper texture paint tomorrow night and get those miniatures finished. I have some other figures on order but I suspect that they won’t be arriving for a few weeks at least so I will be building and painting the X Launcher team and, if it is still available, the Plasma Cannon team. So far these have been some awesome figures to paint and I can’t wait to get my hands on some of the vehicles and drones to try painting them.